When you’re in Dubai, it makes sense to be in the middle of the action, so to speak, and Armani Dubai is where you want to be. You’re in the centre of everything. 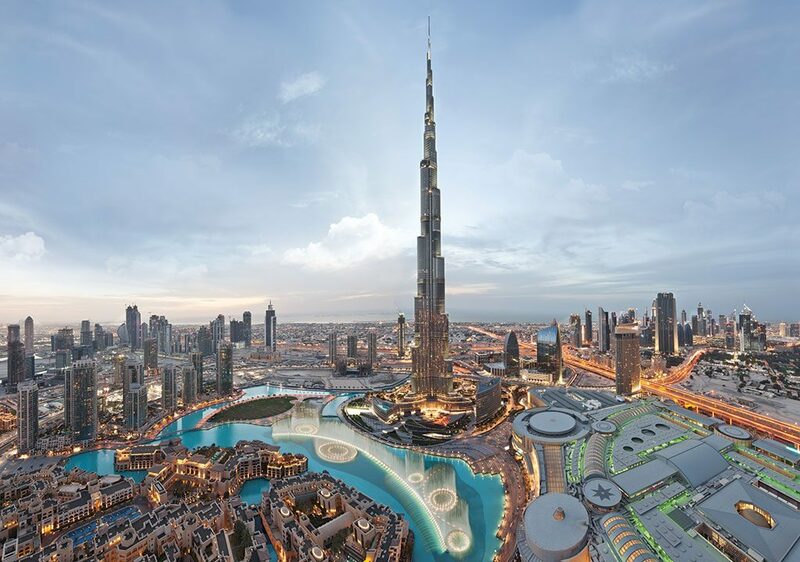 The hotel occupies the first eight floors and levels 38 and 39 of Burj Khalifa, the world’s tallest skyscraper, and is practically the modern metropolis’s heart, given that Dubai Mall, the world’s biggest mall is a few blocks away and the world renowned Dubai Fountain is right on the hotel’s doorstep. The 162-storey tower is the centre of a mixed-use development that contains offices, retail spaces, residential spaces and Armani Hotel. It’s design-forward. The designer himself oversaw all of hotel’s design and style. From the fabrics draping the walls, to the Eramosa marble and wooden floors, the hotel’s décor immediately translates to understated elegance. You get the sense of this rarefied ambience in the impressive lobby, which doesn’t shout its provenance as much as whisper it. Dominated by tubular arches that could represent stylish A’s, the space has an understated and cool ambience that envelops you as you enter. Stylish rooms. If you haven’t been paying attention to the stylish details of the hotel, then the posh and very minimalist hotel corridors will clue you in. Done up in paneled wood, the corridors are quite unlike any other hotel corridors we’ve encountered. The door panels are set flush against the wall, so that it’s difficult to see where the wall and the door begins. Only the discreet LED-lit door number will indicate your room door. 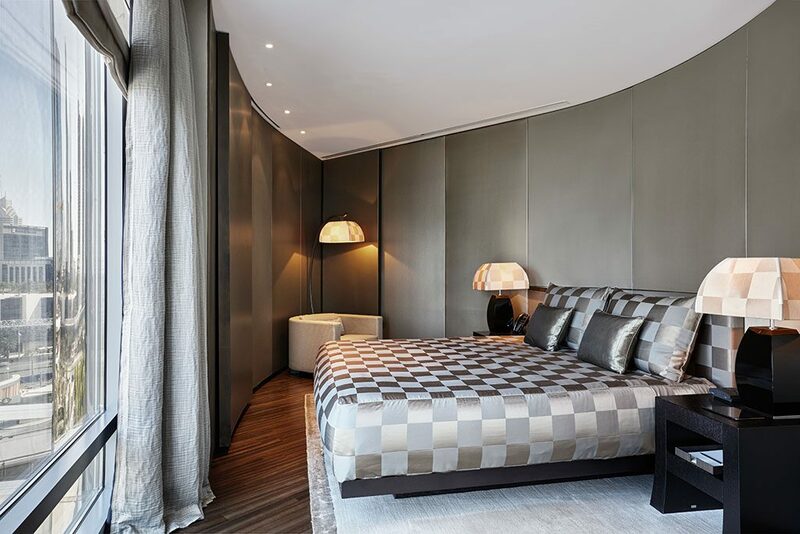 All 160 rooms and suites are done up in Armani Casa (of course!) and features an earthy colour palette and textured fabrics. 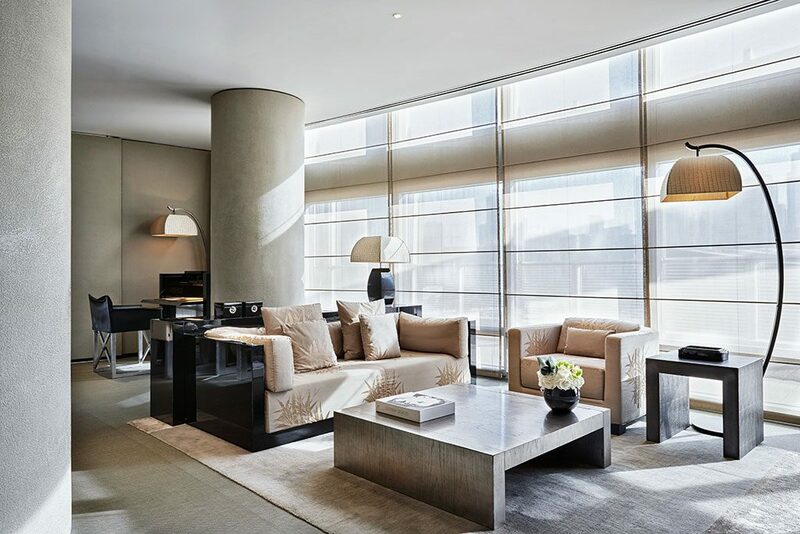 Pro tip: Should you want to view the world-famous Dubai Fountains, then stay at the Armani Fountain Suite, which faces the world-famous fountains and has floor-to-ceiling windows to take in the view of the plaza below. Pro tip, number two: Rehearsals for the evening fountain show starts late in the afternoon, which is a good time to station yourself in front of the windows and see the fountains’, er, performance. Of course, nothing beats watching it in the evening, so also look out for that. As befitting the brand, the rooms are all understated and minimalist luxury and state-of-the-art technology. iPads are used to control the rooms lighting, temperature and room amenities (like the blinds and room audio). The bathroom has an impressive rainshower, limestone floors, pebble-shaped soaps and of course, Armani toiletries. 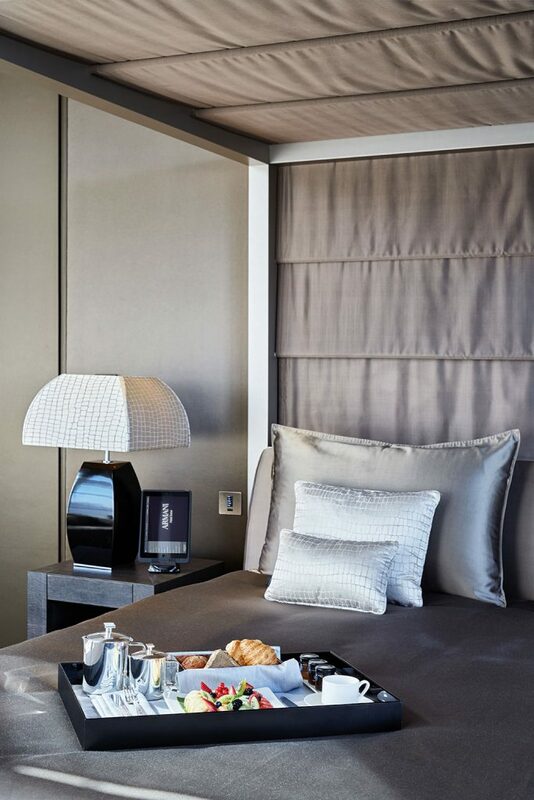 Pro-tip, number three: Book the Armani Fountain Suite if you want a great view of the fountains, but for panoramic vistas, book the Signature Suites or the Armani Suite on the 38th and 39th floors. Warmth, Italian-style. This may be one of the most stylish hotels in the world, but its warm and sincere service gives it a very homely vibe. Guests are given the utmost care, starting with being assigned a lifestyle manager who will make sure you have a great stay. Your personal butler/concierge can arrange everything for you, from spa or dinner reservations to booking the best tables in the city. It’s a gastronomic haven. Book a meal at one (or all!) of the hotel’s restaurants for a full range of choices. 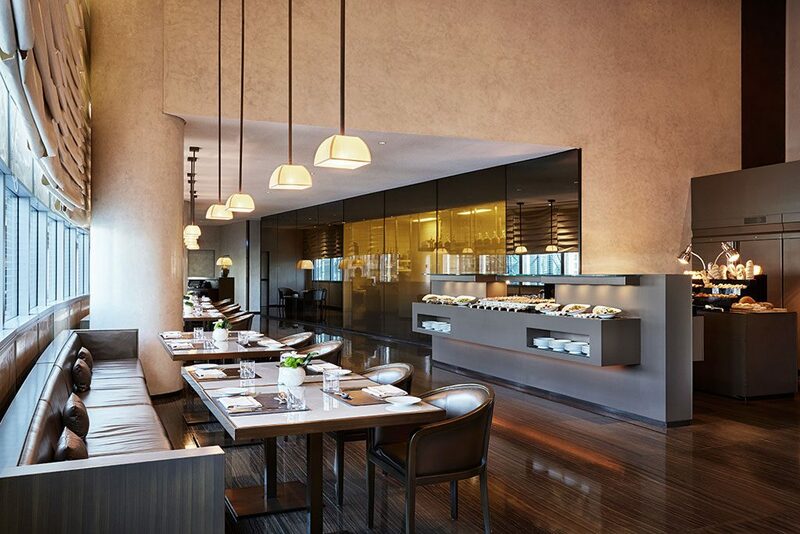 We particularly love Armani/Hachi, which features innovative Japanese cuisine. 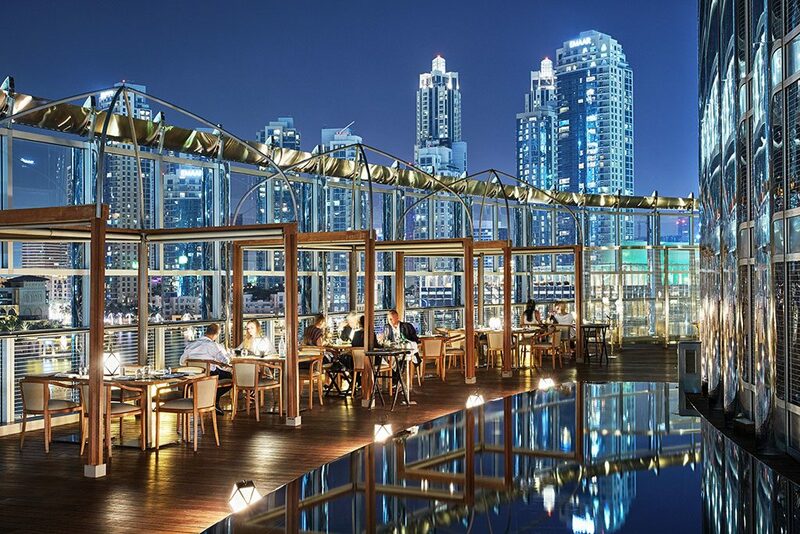 Have dinner outside, overlooking the Dubai Fountain. 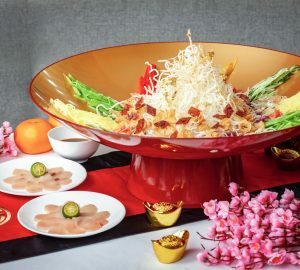 The menu is quite extensive, so be sure to ask the waitstaff for their excellent recommendations. 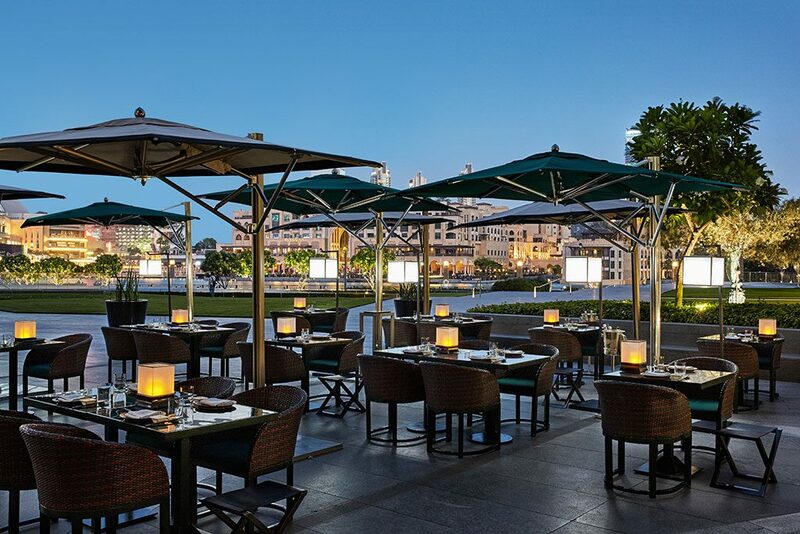 For a more casual meal, try the elegant Armani/Mediterreano, which offers an excellent buffet. It’s also where hotel guests have their breakfast every morning. Pro tip: It’s an indulgent treat, sure, but don’t miss out on having a gold-leaf cappuccino at the Armani/Café. Despite the touristy trappings of it, it’s a delicious cup of cappuccino. 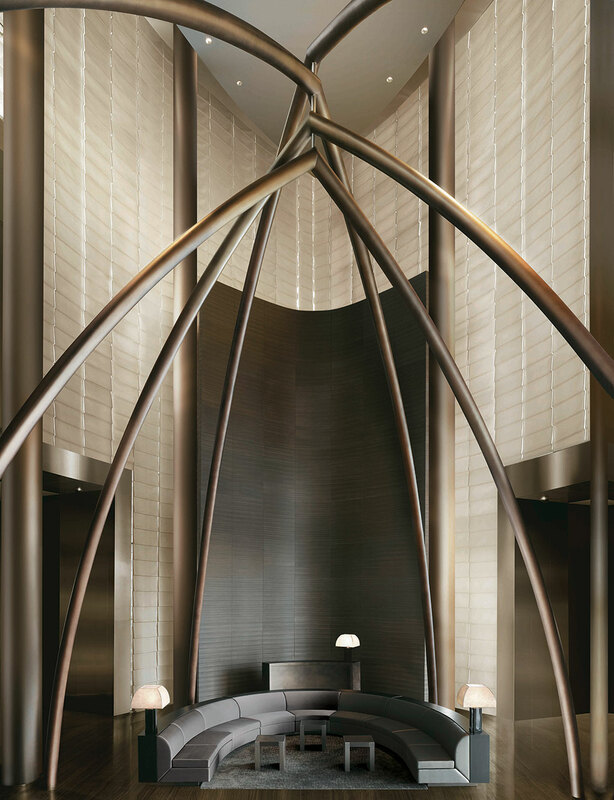 And really, where else should you be having a gold-leaf cup of coffee than at an Armani hotel?